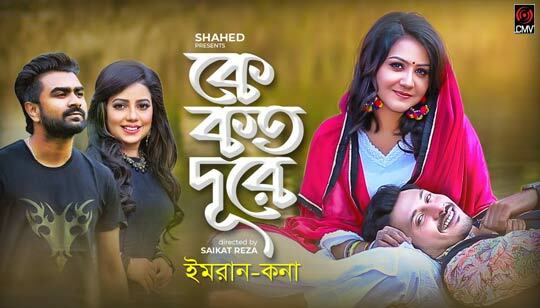 Ke Koto Dure Song is Sung by Imran and Kona Bangla Song 2019. Starring: Sumit, Nishat Priom and Samiya. Music composed by Imran Mahmudul. Giyechi Chole Ke Koto Dure Bengali Song Lyrics written by Mahmood Manzoor. সব ভুলে তাকে শুধু মনে পড়ে..